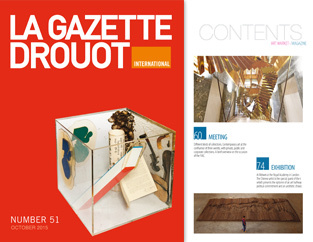 In the run-up to the 42nd FIAC and its battalion of fringe fairs, the Gazette Drouot talks to three key players in contemporary creation, who describe the sometimes very different landscapes of collections dedicated to living art. What does a collection represent today? What are its aims and issues? What is the role of the public collector? What future is there for the private museum and the corporate collection? Are there any obstacles or meeting points between the three worlds? Is the private collector the only one to take risks? What do you think of the FIAC? For me, the FIAC is one of the world's four top fairs. It has acquired an extremely impressive reputation, partly due to its location, Paris, and its venue, the Grand Palais. It attracts not only the best galleries (which are mainly French), but also the leading collectors, through an extremely rich and varied fringe. 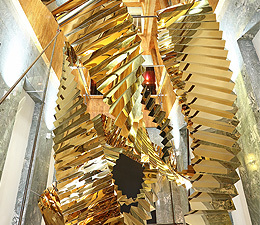 The quality of the works exhibited goes from strength to strength. Personally, I regret that so few Asian galleries have been invited. But this year, this dearth will be offset by the new fair Asia Now, which is entirely devoted to the emerging Asian scene. Drawing on the excitement of this high feast of contemporary art, French auction houses are tailoring their programmes accordingly, offering collectors a range of high-quality works. Between 20 and 30 October, Drouot is laying on a collective exhibition of the pieces up for sale in the autumn, many from famous provenances, including the Pierre and Jojo Restany collection (Digard Auction), and that of Germaine Richier's studio (Morand). Autumn in France has a distinctly modern and contemporary feel! ASIA NOW. A newcomer in the contemporary art fair landscape, the young Paris Asian Art Fair is making its first appearance this autumn. We talk to its co-founder, Alexandra Fain. Why a fair devoted exclusively to Asian art? To share a passion, provide excitement and perhaps challenge a few received ideas – because the image we have of Asian art is sometimes a bit of a fantasy. The basic pictures we have of contemporary Asian art, where we often know more about its market value than its rich and varied scene, are perhaps worth exploring. So Asia Now's first outing is somewhat of a "reconnaissance" mission. It would be hard not to be aware of this event. Ai Weiwei at the Royal Academy of London is rather like Jeff Koons at the Château de Versailles, but without the controversy, and with the bonus of true legitimacy. Because the artist has been somewhat at home at Burlington House ever since he joined Jim Dine and William Kentridge as an Honorary Member of the Academy. Ai Weiwei was elected in May 2011, in reaction to his detention by the Chinese authorities. Faithful to a policy that pays tribute to its members, the Academy is presenting the first large-scale exhibition devoted to the Chinese artist on British soil. This radiant show provides a concentrate of his work after 1993, the date of his return to China. Virtual internet exposure can very quickly lead to momentum, which, thanks to platforms such as Kickstarter, translates into real cash. It is not surprising therefore that the phenomenon has spread like wildfire in the arts, a field in which fundraising is often the most arduous part of realising a project. Since Kickstarter launched in 2009, over 80,000 arts projects have raised $1.5 billion thanks to the website. In recent years artists, galleries, museums and art fairs have all begun to use crowdfunding platforms.